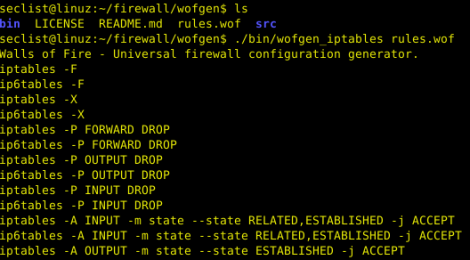 Browse: Home / wofgen – Universal firewall configuration generator. 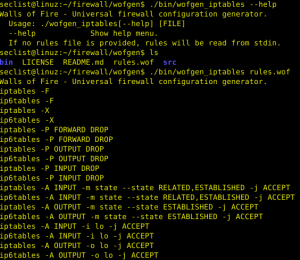 Walls of Fire(wofgen) is an Universal firewall configuration generator. Enables established related on incoming ports (allow out what you allowed in). Zero dependencies (other than a C++ compiler and the C++ STL). Eveything but ipf/pf and wipfw cranks out commands that can be run in a terminal. 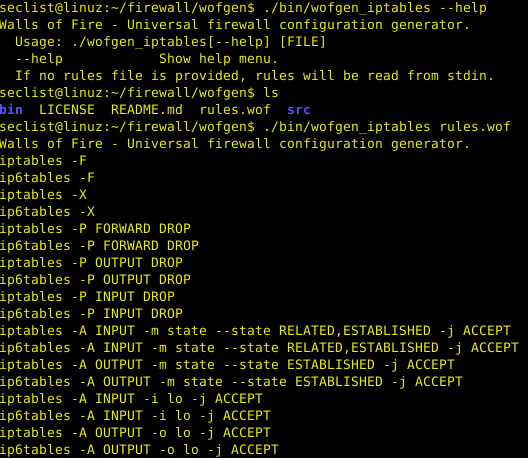 ← whonow – A malicious DNS server for executing DNS Rebinding attacks on the fly.